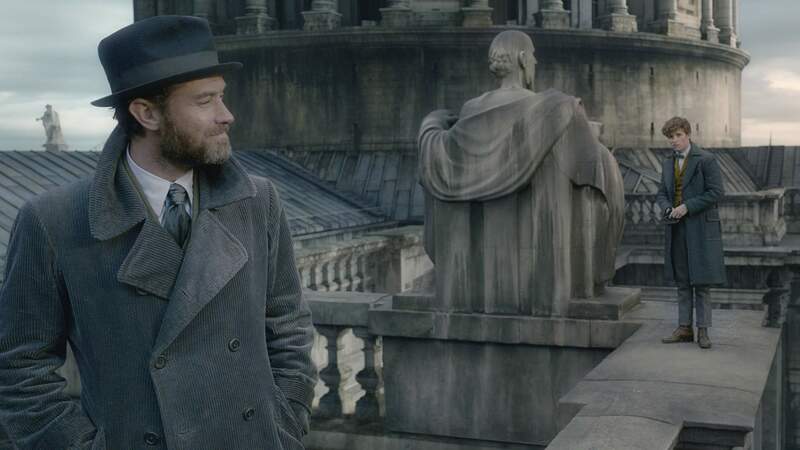 In Fantastic Beasts: The Crimes of Grindelwald, a young Albus Dumbledore (Jude Law) strides through a Hogwarts classroom, teaching his students to thwart the dark arts. They're asked to summon their worst fear and then vanquish it, an exercise that's cathartic for some and terrifying for others. If he tasked Harry Potter fans with doing the same, the results would likely fall into the latter category. Potterheads needn't conjure up nightmares about awful Wizarding World flicks, however — with The Crimes of Grindelwald, that torment becomes a reality. The spell has been broken with this sequel to 2016's Fantastic Beasts and Where to Find Them, the tenth instalment in the franchise first started with 2001's Harry Potter and the Philosopher's Stone. The magic has run out, the charms have worn off and JK Rowling's enchanting abilities are fading. For more than two decades, the British author has splashed wizarding wonders across both the page and screen, but The Crimes of Grindelwald proves a busy drag of a film. It's a movie where plenty happens yet it all feels like filler, and where the rampant spectacle leaves an empty sensation. The Harry Potter pictures had their ups and downs too, but the series' latest chapter is about as entertaining as spending time with the Dursley family. Picking up where its predecessor left off, The Crimes of Grindelwald finds the wizarding world waving their wands over the future of the villainous Gellert Grindelwald (Johnny Depp). He solves that problem by escaping to Paris to rile up his supporters with anti-Muggle rhetoric, and to find orphan Credence Barebone (Ezra Miller). Magizoologist Newt Scamander (Eddie Redmayne) also heads to France, doing a favour for Dumbledore and trying to reignite his romance with American auror Tina Goldstein (Katherine Waterston). Enchanted beasts might be Newt's specialty — whether they're tiny saplings that can pick locks, gold-digging platypus types, or giant cat-like creatures — but he's soon tracking down a different kind of monster. From portkeys to Diagon Alley-esque laneways to a pre-serpent Nagini (Claudia Kim), this is a Wizarding World flick through and through. Good faces off against bad, allegiances are tested and tragic backstories remain a staple as well. The film might take place in 1927 with flashbacks to years prior, but nods abound to names and details established in the 90s-set Harry Potter movies. Some references even ignore existing HP lore and logic, much to the dismay of dedicated aficionados — and this seemingly haphazard approach cuts to the crux of The Crimes of Grindelwald's struggles. As penned by Rowling herself and directed by six-time franchise veteran David Yates, the movie adheres to the superhero school of filmmaking. 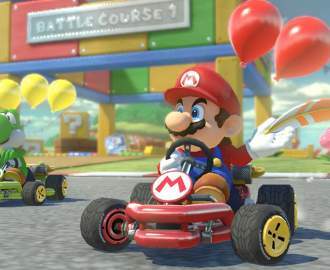 It's less concerned with serving up an engaging new chapter that stands on its own merits, and more interested in prolonging the series. Rendered with visible gloom and shadow, this dull rather than vibrant film is a placeholder, doing what it must to keep things going and little else. Specifically, The Crimes of Grindelwald does what it needs to to keep everyone waiting for the three sequels that'll hit cinemas in 2020, 2022 and 2024. When a movie is content to replace Colin Farrell with Johnny Depp, doing only what it deems necessary is clearly its modus operandi. In a picture that's happy to go through the motions, the cast change is just one of the many missteps. Hectic yet also overextended, The Crimes of Grindelwald is filled with contrasts. The film's story is both jam-packed and flimsy, layering subplots upon subplots yet never delving too deeply into any of them. Characters are barely fleshed out, even when they're accompanied by solid performances, such as Zoe Kravitz as Leta Lestrange and Miller as Credence. Furthermore, the social commentary that's baked into the story — not only paralleling the rise of fascism between the First and Second World Wars, but nodding to today's fractured Europe — may set the scene for the next instalments, but adds little to the current film. As for the action set-pieces, while handsomely staged and teeming with technical wizardry, they hardly leave a lasting imprint. As he proved many times for the Boy Who Lived, Dumbledore is the movie's saviour. Or, more accurately, Law's young pope Dumbledore is. Channelling his inner Michael Gambon, Law is easily the best thing about The Crimes of Grindelwald, oozing the energy and intrigue that the film otherwise lacks. Viewers can be forgiven for wishing they were simply watching The Young Dumbledore without any beasts, fantastic or otherwise, with Law upstaging Redmayne's sensitive Newt and Depp's sinister villain. It goes without saying that he upstages the minor parts given to Waterston and fellow Fantastic Beasts returnees Alison Sudol and Dan Fogler, too. And while The Crimes of Grindelwald's ending is among its worst inclusions, it does at least guarantee one thing: we'll be seeing more of young Dumbledore in future films.